You can bestanding in front of The Vatican, knowing that millions before you have admired its beauty, and so will millions after you, and nevertheless believe you’ve felt or spotted something no one else has or will. And you probably won’t be wrong. Because traveling, at its core, is very similar to the other two universal, yet unique experiences in life – love and art. So why limit yourself to one? While traveling with a significant other can be great, art is no worse companion and motive, and probably a far more agreeable one. We’ve selected some of the best art destinations in the world for you to explore with someone or alone. We’ll leave that up to you. Searching for beauty in distant places is part of a traveler’s adventurous spirit, but one should never miss an exploration of a backyard as beautiful and enticing as Miami. It’s not only blessed with an art scene of the highest qualities, but also of the rarest. The city is home to unique art districts, which are a testament to art’s tangible power to transform the present and construct the future, all while immortalizing the past. 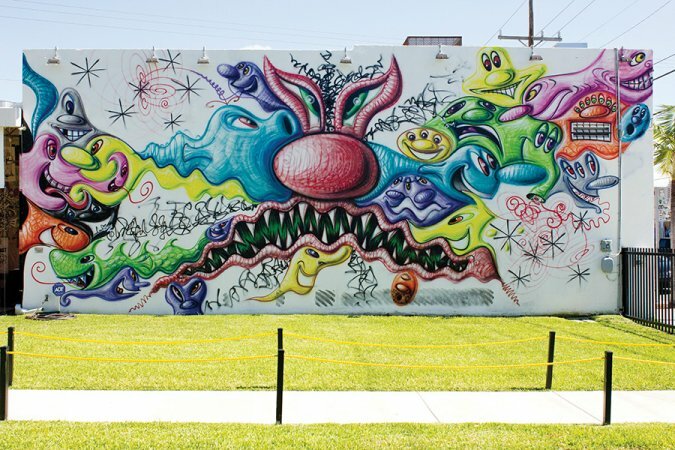 What better example than Wynwood, a neighborhood that went from a wasteland to an off-beat culture wonderland – not with millions of funding, but with paint, artists’ imagination, and the vision of renowned community revitalizer, the late Tony Goldman. “Wynwood’s large stock of warehouse buildings, all with no windows, would be my giant canvases to bring the greatest street art ever seen in one place,” he declared once, and Wynwood not only lived up to his promise but created a walking experience only the trippiest lucid dreams can recreate. The district is a proud symbol of both street art and the value of community. Amidst an artistic Disneyland such as Italy, Florence still manages to stand out because it’s basically a town-museum of countless and unbelievable sculptures. Immersing yourself in art and history can hardly be as seamless as when walking down Florence’s charmingly-tucked cobblestone walkways under the stone gazes of monumental poets, philosophers, and artists. Between the two wings of the Uffizi Gallery, there’s a small courtyard-like street which serves as a meeting point of some of the greatest minds of the Renaissance period like Michelangelo, Alighieri, Da Vinci, and many more. As far as traveling back in time goes, this haunting lane is probably one of the fastest shortcuts. 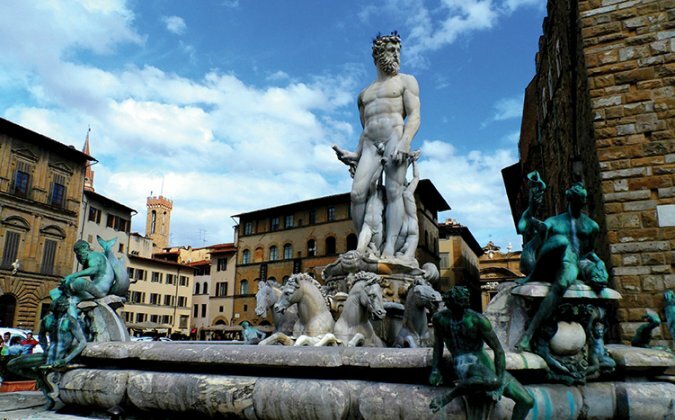 Florence also represents another of its country’s trademarks – imposing fountains whose details make them awe-inspiring, even borderline scary. Neptune Fountain is really something to behold, the kind of statue you would expect to come alive if a fantasy film scenario was ever to happen in real life. 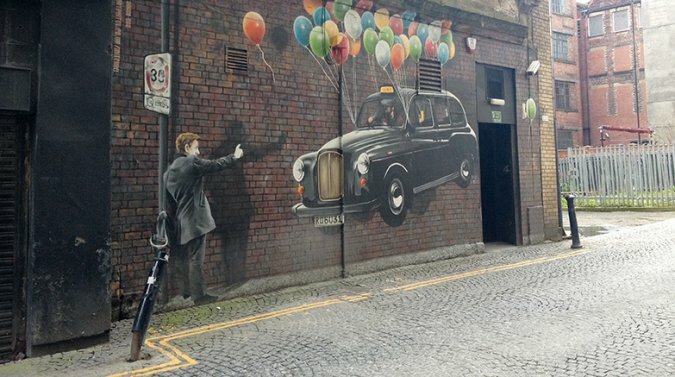 Many people associate Glasgow with gloom and rain, and even though it’s easy to see why, it would be a shame for travelers to let the weather silence the town’s spectacular music scene. Glasgow’s two longest, main streets - Sauchiehall and Buchanan Street, are almost never quiet, with all kinds of talented musicians playing soundtracks to pedestrians’ daily lives. Even though the most recurring style is indie rock/ folk, you can still expect anything from Slash lookalikes to native African tribal drums. Of course, there are some traditional bagpipe musicians as well, and sometimes, when rain starts falling, their performances sound more like rituals. It’s as if the Celtic spirit starts pulsing through the air, awoken by the poignant instrumental echoes that rise above the city noise. If the rain gets too much, Scotsmen have provided plenty of shelters with great draft beer and live music. People can hear better live performances in unassuming Glasgow pubs than in some of the fanciest bars of other cities. Bars like Nice & Sleazy and Box are famous hangouts for aspiring and even established musicians. And if you feel like something more massive, venues like the O2 Academy, 02 ABC, SSE Hydro welcome world-famous musicians year around. Amsterdam is surely one of the edgier destinations, but its charm can be felt by anyone with an open mind. Many places have liberal drug policies, but Amsterdam has become an international symbol of counterculture because it has elevated recreational drug use to a cultural experience with all its artsy coffee shops and vibrant little lanes. If you’re all about the “When in Rome” attitude, there are some pretty racy museums as well which you cannot find in a more conventional city. But Amsterdam has a lot to offer to those with more traditional tastes as well. The town is home to the Van Gogh Museum where you can admire some of the enigmatic artist’s more famous paintings and also learn about his life. There’s also the huge Madame Tussaud as well, and if you happen to prefer something with a little more motion, you can just stay at the plaza in front which is a meeting point of some of the town’s most talented street performers. Overall, the city is an extraordinary mix of Western European and Mediterranean vibe which really has something for virtually anyone. Punta Del Este is known as the Saint Tropez of South America. And while luxury and celebrities are the cornerstones of the Uruguayan coastal town, its booming art scene makes it into something more than just a rich people hangout. Besides great galleries, Punta Del Este certainly has a flair for the surreal. 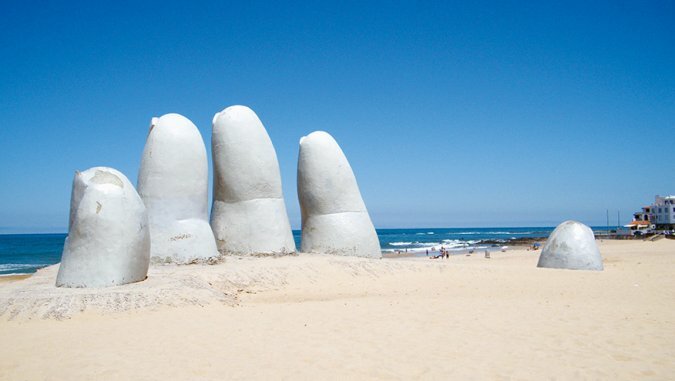 The Hand, as it’s usually referred to, is an imposing sculpture of fingers sticking out of the sandy beach, just enough to make visitors’ minds wander to the depths underneath the statue. It’s a beautiful work of art which makes incredible use of the natural landscape. Casapueblo is a museum/gallery/hotel which induces a fantasy state of mind at first sight. The structure is a hand-built cross between a Santorini building and a haunting fairy-tale castle as seen through the eyes of the late Uruguayan artist Carlos Vilaro who was a member of the school of Picasso. But apart from the museum and gallery selling his work, Vilaro’s vision is perhaps most perceptible during the time of day when the world feels like a work of art itself – Casapueblo’s terrace is widely considered as one of the best places in Punta Del Este to watch the sunset. 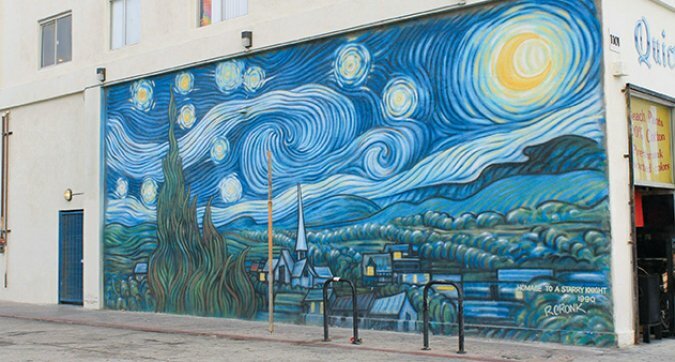 Being the boiled down, artistic core of Los Angeles, Venice Beach is full of spectacular street art and murals which are like movie stills of the golden age of Hollywood. But besides nostalgic glances at film history, Venice Beach murals depict many other, much more serious aspects of the area’s rich cultural palette. Some are nods of recognition to those who served in the Vietnam War, while others reflect the battle between art and extreme urbanization. And there are those who shed sobering light onto the unnoticeable, yet relentless consumption of marginalized communities by gentrification. Of course, there are also the blissful kind of murals that pay tribute to Venice Beach’s trademarks – skating, surfing, and all-around freedom. Apart from murals, the area possesses a raw, distinctive charm that just takes over its visitors like a spontaneous force of nature, it’s the cultural equivalent of a gorgeous, unadulterated beach where everything just magically fell into place. Similar to a circus, performers from all over the world, who have nothing else in common but their passion and flair for life, can gather and become another one of the million, yet essential pieces of Venice Beach’s puzzle. The Venice Beach Boardwalk stretches across one and a half miles and feels virtually endless within the vast Pacific Ocean’s summary backdrop. It’s filled with vibrant bars which a magnetic place like this could never do without, like The Del Monte Speakeasy, a portal in time where the Prohibition era is just a cocktail and a live performance away. No wonder why Venice Beach is like a beautiful muse both artists and travelers alike fall head over heels for and tap into for inspiration. 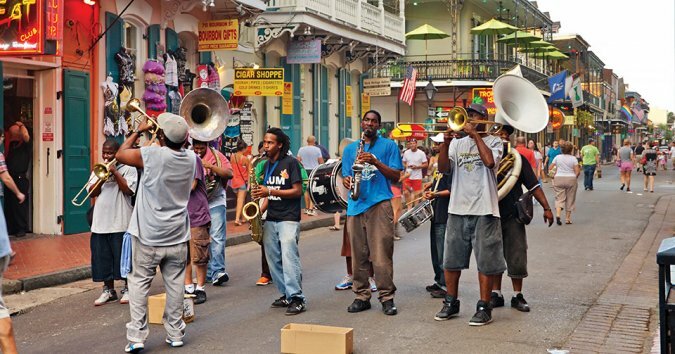 New Orleans is for those with passion for authenticity in some of its best forms – musical, human or bourbon. Few places exude such strong music history and culture like this Louisiana treasure. With its charming low-rise, warm-colored, buildings and picturesque little balconies, the town is the embodiment of romantic and musical utopia, a living photograph of a time that is long gone or perhaps never even was. New Orleans not only gave birth to jazz but has become an oasis where this music isn’t silenced by the mind-numbing modern chart hits. With dozens of vibrant live jazz music clubs, a night out in NOLA is really something else, an experience you might have thought possible only in movies. The jazz legacy lives on through other types of venues as well. The New Orleans Jazz Museum keeps a fascinating collection of music sheets, instruments, recordings, colonial documents and more, in addition to hosting a variety of live performances and programs. And even though it’s hard for other art forms to be noticed among such a powerful music presence, New Orleans is home to many artists and boasts art galleries, filled with anything from traditional paintings, to avand-garde installations and music-inspired creations. You can’t talk about art destinations and leave out Paris. The French capital breathes history from almost every corner and tiny, picturesque café. You can’t help but wonder about all the artists who have walked those streets and had absinthe-fueled epiphanies in hidden spots throughout this monumental town. Sitting at one of the many cocktail bars with a distinctive historical vibe can make you feel like the next aspiring mind to continue with the local art legacy. It’s no wonder Paris offers a gallery and museum feast like none other. There’s hardly a single artistic current left out. Some galleries focus on a particular period - classicism, impressionism, surrealism, minimalism, conceptualism, while others offer an eclectic mix of them all. Sculptures, photography, installations, and much more – practically anything that is considered art in some part of the world can be found in an exhibition in Paris. If you’re the kind of tourist who can get lost in galleries for hours while accounting for every minute and piece of art, Paris is a must-go destination. 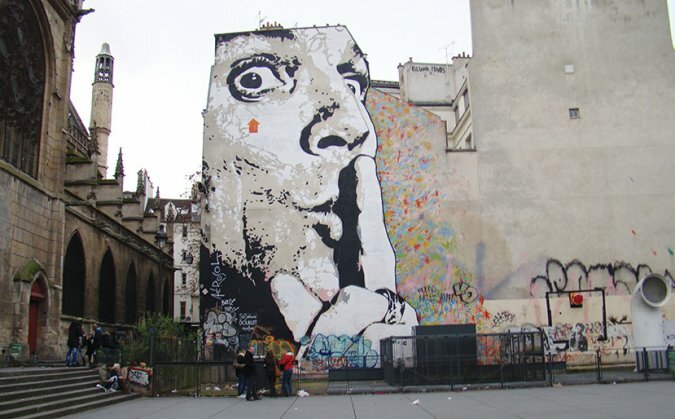 Nevertheless, being the world-wide synonym for art, Paris has many districts that greet visitors with graffiti and murals that give the town just enough edge and underground feel to make it appealing to virtually any art lover. Barcelona is another city famous for its street performers, especially living statues. Las Ramblas is almost a mile-long street where you can see human stills of all kinds of fictional characters, as well as spectacular magicians, and lots of Spanish guitarists. But art goes deeper than that, in fact, the whole city is filled with dreamy regions which came out of world-renowned architect Antoni Gaudi’s beautifully wild fantasies. His signature, fairy-tale touch can be recognized instantly in structures like the Hansel & Gretel gatehouse in Park Guell or Casa Mila which has no straight angles. The unfinished Roman Catholic Church Sagrada Familia is an exceptional gravitational force in Europe and around the world, with its ever-developing status only intensifying its already mystical aura. Again, who else but Gaudi is the main culprit of this castle’s majesty which transcends any religion and culture. When you look at Norway and the otherworldly, severe beauty of its nature, it’s easy to think God was feeling strangely artistic when he created those awe-inspiring landscapes. These dramatic backgrounds make Oslo’s sculptures look like the characters of Scandinavian mythology. 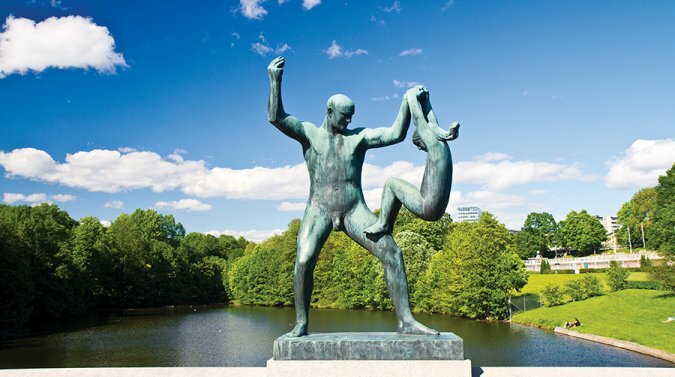 With not one but three sculpture parks – Tjuvholmen, Vigeland and Ekebergparken, Norwegians have found the perfect way to create a mutually-enhancing art and travel experience. A very distinctive and unusual landmark is The Thief – an art hotel/venue that can make many museums look like kindergarten art exhibitions. The experience is very consistent, with art accompanying guests in every aspect of their stay – from the hotel’s corridors, to the restaurant, to even their private rooms. With paintings, sculptures, graffiti, installations, photographs and performance art, the hotel is an art scene on its own, and more importantly, one where emerging or newly-established names can be discovered “before they are cool”. The hotel schedules regular unplugged music nights as well where you might witness a new star being born. Altogether, The Thief is a truly unique place, whether you think of it as a hotel or a classy platform for artists to showcase their skills. Art and travel stem from the same deeply human desire – to put life as we know it into perspective and discover new bits of it in the process. Travel satisfies this urge by bringing down physical boundaries while art dissolves cultural and spiritual ones. As far as matches made in heaven go, few can wrap the mind, body, and soul in such a multi-dimensional harmony.